I started to question Dave2D approach when he tested multiple laptops. Sure it does thermal throttle but hell. Macs are optimized for Mac applications. This is simply stupid from him. Try to benchtest Final cut Pro from a PC. Even though this is impossible, I'm sure it would perform badly. This doesn't surprise me too much. Doesn't the iMac Pro even do this? It does surprise me a bit, though, that it would be slower than the 2017. Aren't both CPUs similar in terms of thermals? The same chassis should have similar thermal handling capabilities... though MBPs have never handled heat all that well in my experience. And, at least in the past, the problems went beyond the CPU throttling down, but resulted in damage to other components. Time to speed up homegrown Apple CPU/GPU for performance and better thermal. Time to admit that the laws of physics can’t be defeated. For sure. Though Apple's architecture could be more efficient, I suppose. They might not hit the same wall for a bit. Has FCPX been optimized for the new machines yet? These laptops haven’t even been out a week and already the hystronics are over the top. Seems like this guy is just looking for traffic to his YouTube site. Considering it was faster in pretty much everything else it could just be a temporary anomaly. It’s not necessarily conclusive at this point. 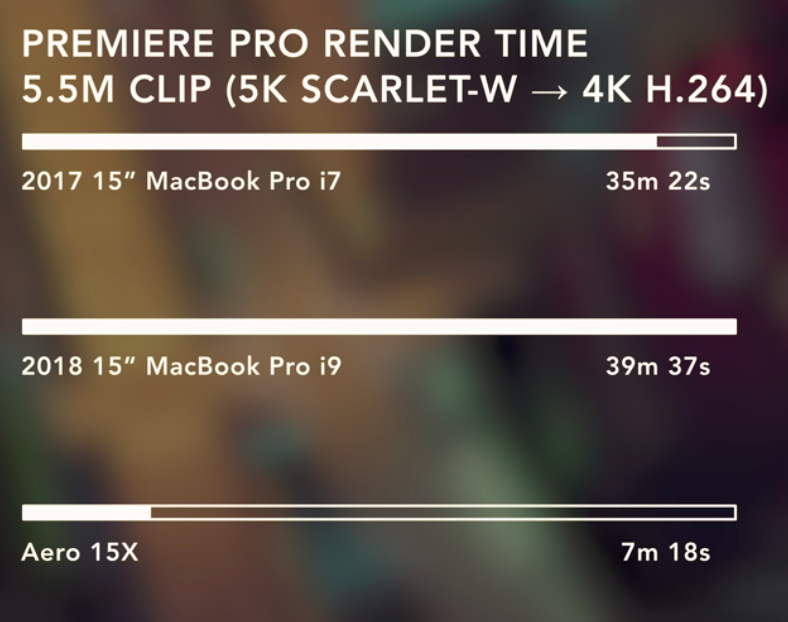 Perhaps the Final Cut developers need to implement something to maximise performance in the new machines for exporting 4K video. We certainly can’t count on anything Adobe when it comes to software optimised for macOS in any capacity. That Zollotech video nails it. The obsession with ‘thin’ is great - but not when it impacts performance. The design is probably fine for the ‘stock’ processors - it’s just the i9 isn’t really suited. The era where we could have performance and portability seems over. I’m personally waiting for the Mac Pro. 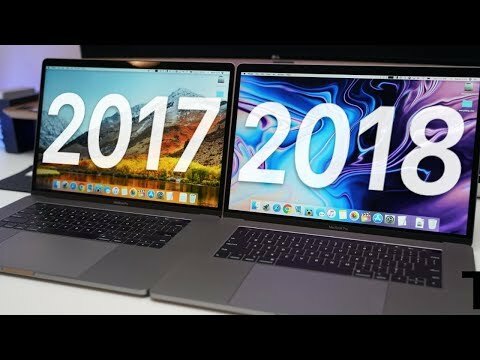 The iMac Pro and MacBook Pro all have thermal issues. I’ve got the luxury of not strictly needing the performance when I’m on the road. It’s a “nice to have”. But for many ‘flexible workers’ using shares spaces and for creatives who need the PC ‘on site’ it’s not an option. A real shame. I could have told you that, even before Mr. Lee's findings. A lot of people who embrace butterfly keyboards and impossibly thin designs don't give much consideration to thermal throttling. But it is a reality. Another sad fact is that it has been shown that Apple uses vastly inferior thermal paste between GPU and CPU chips and their heatsinks. It would only cost them pennies more to use a half-way decent thermal paste. So in addition to the fact that the thermal cooling in super thin designs like the 2016 and later MBP is inadequate to prevent throttling, thermal paste used does not transfer heat as well is it could. Here's a SnazzyLabs Video that might help convince some of you. I've long called for the thinning of the MBP to end. The thickness of the 2015 MBP is quite thin yet not too thin. It allows for a good sized battery and for better cooling. And while I think Apple should continue to strive for thinness, that doesn't mean it has to be the MBP. Supreme thinness and lightness is what the MacBook is for. Butterfly keyboards too. But the MBP needs to be "Pro" all around in terms of cooling, thermal performance, battery size, ports-a-plenty, an internal SD card slot, and thick enough to accommodate a great keyboard with sufficient key travel that (a) will satisfy pretty much all users and (b) won't be harmed by specs of dust under the keys. Indeed, on my 2015 MBP 15" I can remove the keys. These important considerations need to be made more serious by Apple engineers in future designs. Take everything you want away on the MacBook, but put the beefy stuff in the MacBook Pro. Make the MacBook Air a hybrid of the two, and then you have 3 product lines that can please every Mac notebook buyer. Seriously. It's not that hard. It's just a matter of Apple rethinking its design decisions. Intel have been living in denial about this for years. See also: their attempts to manufacture at smaller and smaller die sizes. I could have told you that, even before Mr. Lee's findings. A lot of people who embrace butterfly keyboards and impossibly thin designs don't give much consideration to thermal throttling. But it is a reality. Another sad fact is that it has been shown that Apple uses vastly inferior thermal paste between GPU and CPU chips and their heatsinks. It would only cost them pennies more to use a half-way decent thermal paste. So in addition to the fact the the thermal cooling in super thin designs like the 2016 and later MBP is inadequate to prevent throttling, thermal paste used does not transfer heat as well is it could. Here's a SnazzyLabs Video that might help convince some of you. I've long called for the thinning of the MBP to end. The thickness of the 2015 MBP is quite thin yet not too thin. It allows for a good sized battery and for better cooling. And while I think Apple should continue to strive for thinness, that doesn't mean it has to be the MBP. Supreme thinness and lightness is what the MacBook is for. Butterfly keyboards too. 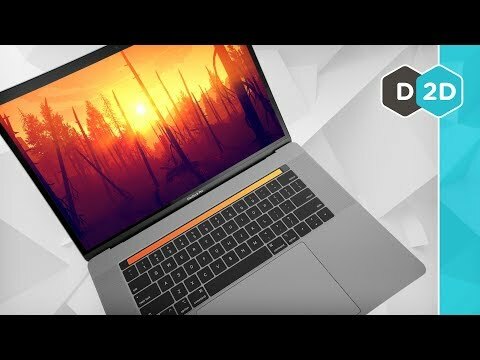 But the MBP needs to be "Pro" all around in terms of cooling, thermal performance, battery size, ports-a-plenty, an internal SD card slot, and thick enough to accommodate a great keyboard with sufficient key travel that (a) will satisfy pretty much all users and (b) won't harmed by specs of dust under the keys. Indeed, on my 2015 MBP 15" I can remove the keys. Agree - except for the last sentence. There is no rationale in this matter w/ Joni around. So it won't happen. He's become the fatal hurdle. Thinness leads to thermal throttling. Stop thinning the MBP. The 2015 MBP is about the thickness-limit for reasonable cooling and a big battery. Use only high quality thermal paste. The MBP must be Pro in terms of cooling, thermal performance, battery size, USB-C&A, an internal SD card slot, and thick enough for a keyboard with sufficient key travel to (a) satisfy pretty much all users and (b) to avoid harm by dust under the keys. Keys should be removable like the 2015 MBP. These key considerations need to be made more serious by Apple engineers. Vanquish ports and use a butterfly keyboard on the MacBook, but put the beefy stuff and good keyboard in the MacBook Pro. Make the MacBook Air a hybrid of the two, yielding 3 product lines that can please every Mac notebook buyer. Thank you. Feel free to copy, tweak and paste it into your own feedback submission. Do it even if you think "it won't happen." I didn't think anything would happen some years back when I wrote to Tim Cook's email about my 2009 iMac's video card dying only a couple weeks after my AppleCare ended. Long story short, he got his people on the ball and I was able to get a free video card swap at a local Apple store in Japan (where I currently reside). As a result, I send feedback to Apple all the time through their official feedback form. I'm never discouraged by the fact they continue to ignore my suggestions. At some point something very bad will happen and they will start to Think Different once again. Optimism allows you to make your own dent in this universe. Don't hold back! Do it even if you think "it won't happen." You’re obviously right; it just won’t matter in time. Ever heard of a Hackintosh? No, it doesn't perform badly at all. Apple needs to start building MacBook Pros. The current design should be called the "MacBook Executive" or something equally silly. Thin is idiotic. He could be testing it with Flash and get the same results. Why should I care? I think folks are jumping the gun here. This is a single instance of tests on a single machine. The i9 was found to not meet stated clock speeds, let alone turbo speeds. Sounds to me like a defective chip set or bad cooling fan.. All this talk about too thin, poor design etc. is premature. If this turns out to be replicated with other units then Apple has a problem, but at this time this is very speculative. Apple knows full well the thermal issues regarding “Pro” chips sets, heck that was the problem with the trash can desktop pro. So i would doubt that Apple would release this new MBP with an issue like this. Beyond the throttling, it looks like the MacBook Pro is just the wrong tool for Adobe Premiere users. For anyone unaware, the Aero 15X tested has an Intel Core i7-8750H and a NVIDIA GTX 1070 Max Q.
It’s odd that he runs the render test a second time but does not say what the actual test results are. Perhaps the actual time difference was lower than first time and he didn’t want people asking why the 2018 model was faster the second time when it was hotter.